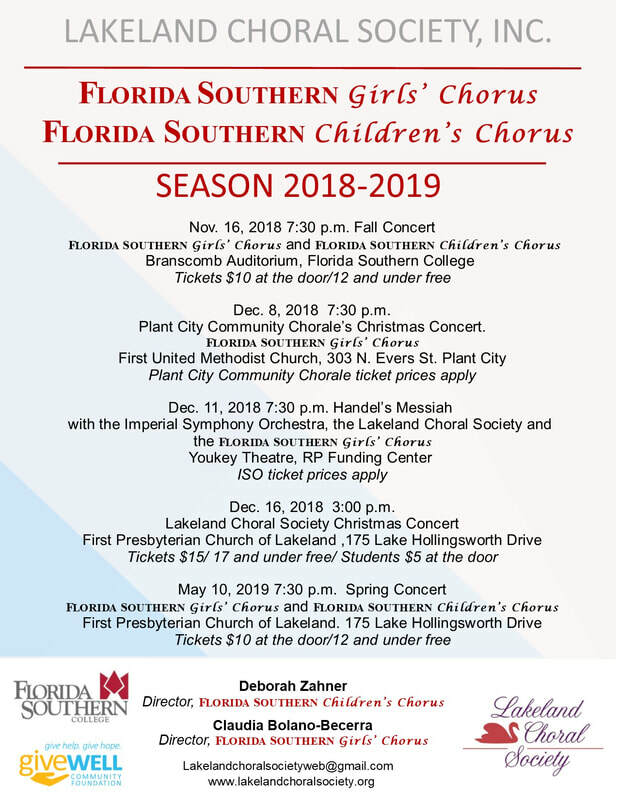 The Florida Southern Children's Chorus will make a special appearance at the Lakeland Choral Society Christmas Concert on Sunday, December 16th at 3pm. 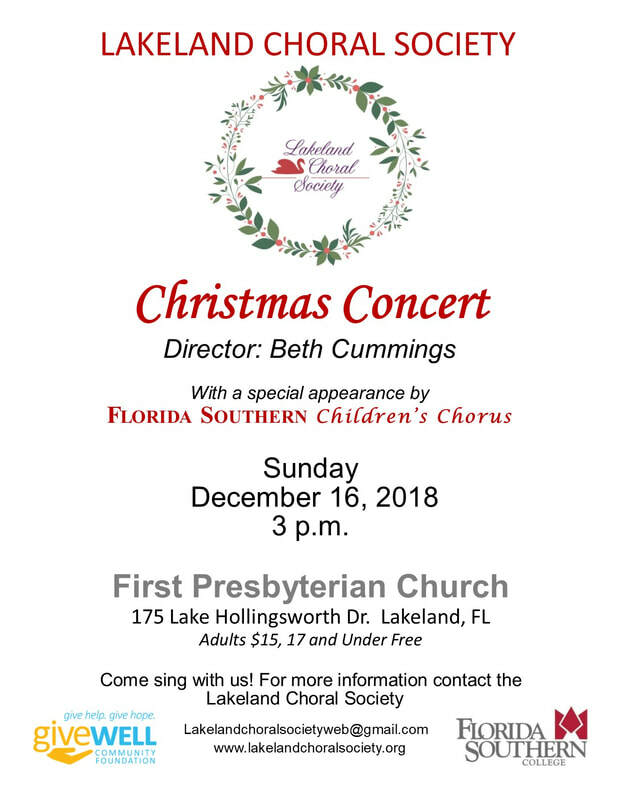 Hope you can make it. Our Carnegie Hall performance was a huge success and we're getting ready to kick-off our 2015-2016 season. Plans are in the making for a summer festival in June 2016. 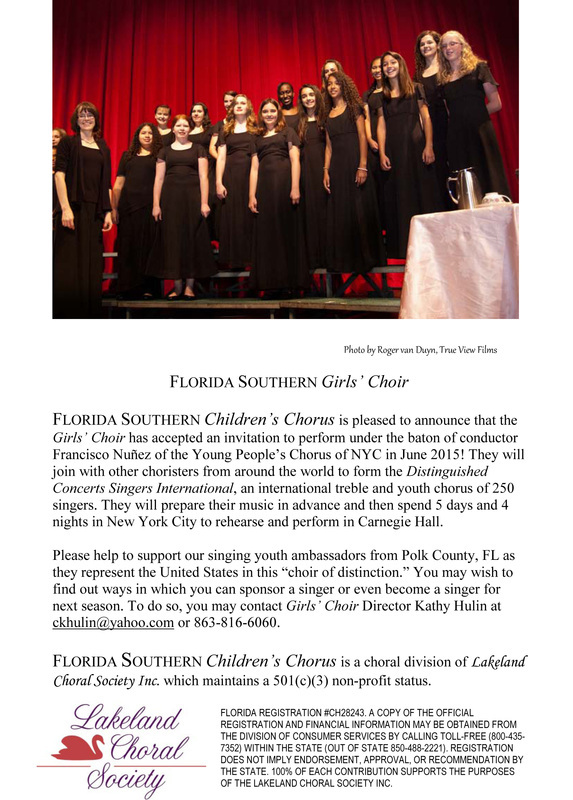 Invited to perform under the baton of conductor Francisco Nuñez of the Young People’s Chorus of NYC in June 2015! February 2013 - The Girls' Choir performed at Platform Art for Kids in Lakeland and won 1st Place in the live performance division. 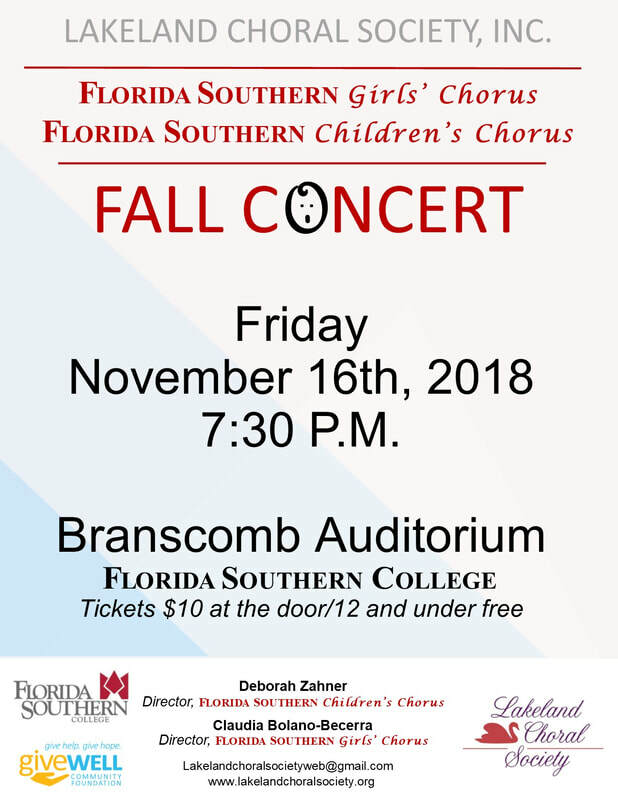 Fall 2013 - Director Kathy Hulin auditioned and was accepted into the American Choral Directors' Association Southern Division's Directors' Chorus. She performed under the baton of Francisco Nunez in Jacksonville, FL in March 2014. 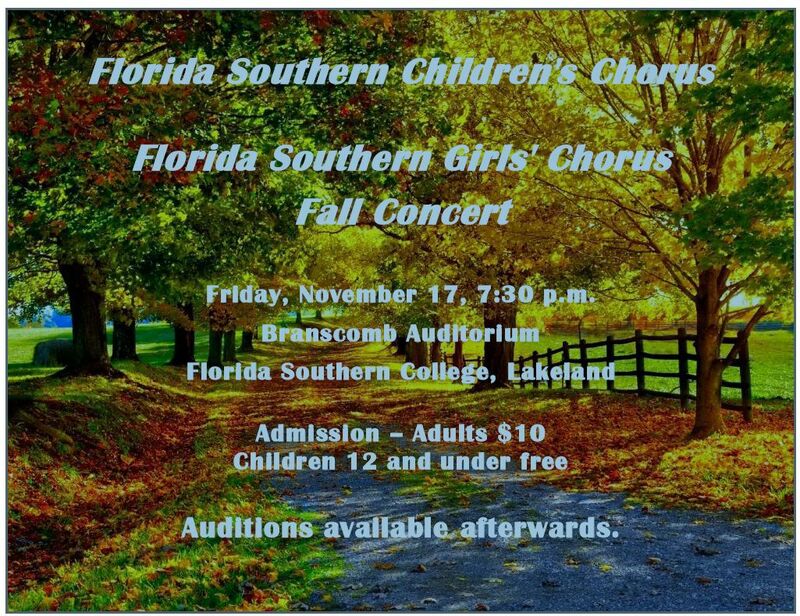 Fall 2013 - Girls' Choir Members Jacqueline Buehner and Taylor Hines auditioned and were accepted into the American Choral Directors' Association Southern Division's Children's Honor Choir. They performed in Jacksonville, FL in March 2014.